Lol Lisa! I have to give credit where credit is due!! 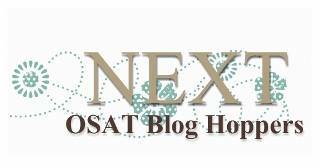 Love your Project! Any Teacher would Love It. Thanks for Sharing! Thanks so much Cindy! Thanks for stopping by! What a cute stamp and sentiment! Lovely projects Tina! And the teeny tiny tea bag tag is the cutest detail! Tina, your talent is beyond the stars. I love tea and we must have some together someday. 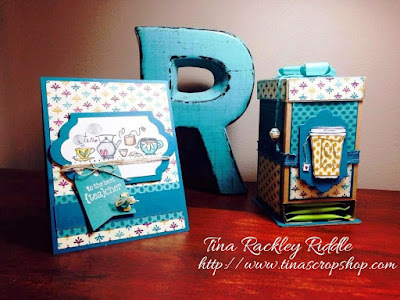 Both your projects just look so rustic and I love them! Wow! Quite a compliment coming from such a talented lady! Thanks so much! 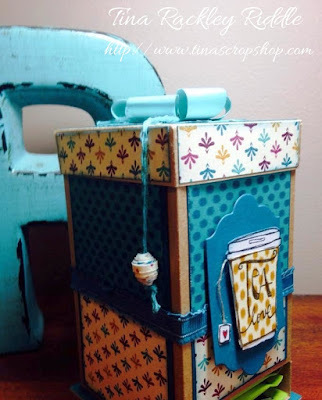 How flippin' cute is that tea box! great card too! I have to be honest, I did not like that DSP at all. Seeing it like you've used it... I think I might need to order it! :D Thanks for sharing, your work is great! These hops are so much fun, being able to see all the different ideas and fabulous talent!!! Now. off I go hopping through the card fields!!! such a gorgeous tea bag holder and matching card!!! What a wonderful little card and gift box! Great teacher gift! 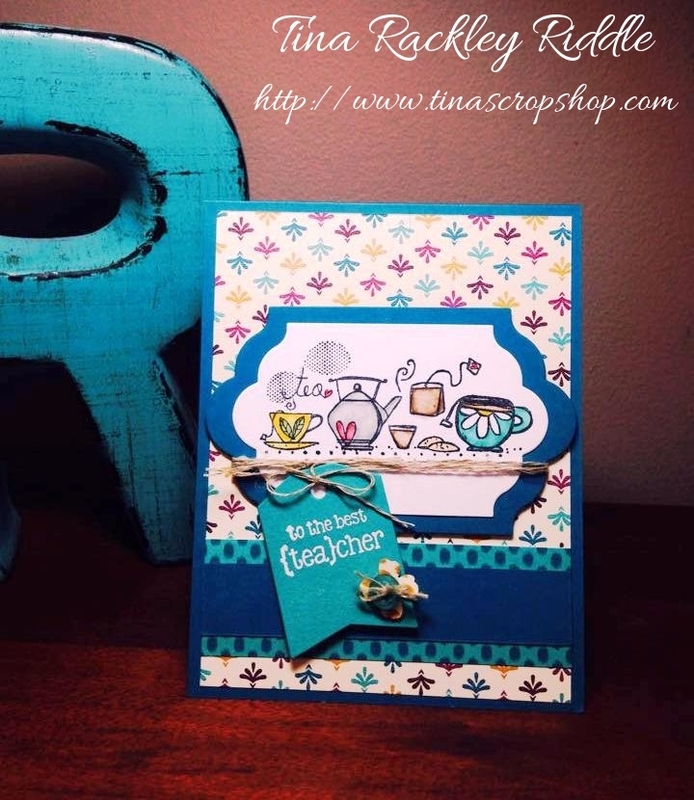 Tina your cars is beautiful and that tea bag gift box box is absolutely adorable. I love your work!!! Your projects are beautiful. Love the card but think the tea box is the best I have ever seen. Great job! 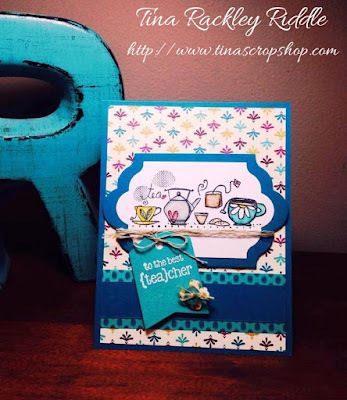 Love the card & super love the teabox! I really need to try making one of these. The addition of the paper bead just made it even cuter! one word is all i need - BRILLIANT! Lovely card and tea box! I love how you colored the tea cups on the card.